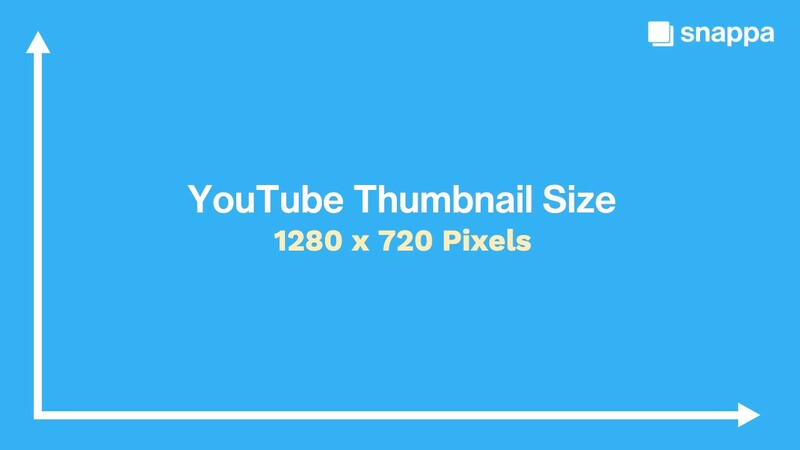 Optimize your YouTube thumbnails with these dimensions: 1280 pixels wide by 720 pixels tall, with a minimum width of 640 pixels. A ratio of 16:9 is ideal as it’s used most often in YouTube players and previews. If you want to get more views on your YouTube videos, there’s one tactic you can use to get them instantly: use better thumbnail images. Thumbnail images are just as important as the video’s title if you actually want to get clicks. The images themselves are what can jump out at users and help you stand out in a long line of search results. Since these image thumbnails also show up on Google’s search engines, they’re essential to maximize your impressions. 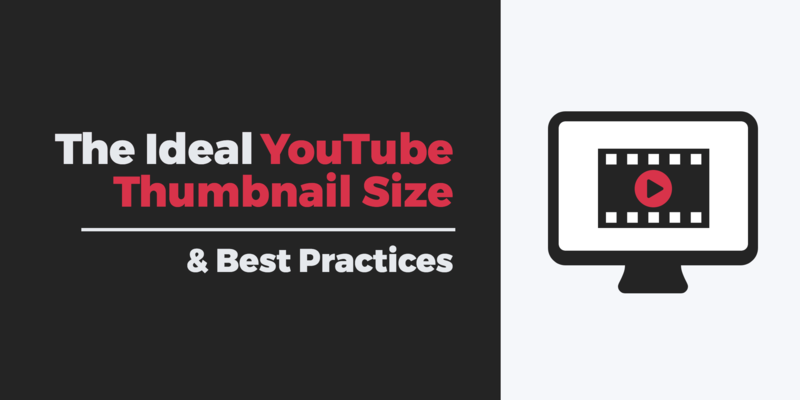 In this post, we’re going to discuss everything you need to know about YouTube thumbnails, including the ideal size, how to create them, and the only best practices list you’ll ever need. Bonus: We’ve integrated Youtube’s thumbnail dimensions into our graphic design tool. Create a YouTube thumbnail for free! What’s the Right YouTube Thumbnail Size? This is the first question we need to answer before we address anything else: what are the best YouTube thumbnail sizes? By Google’s own recommendations, your image should be 1280 x 720 pixels, with a minimum width of 640 pixels. A ratio of 16:9 is ideal as it’s used most often in YouTube players and previews. 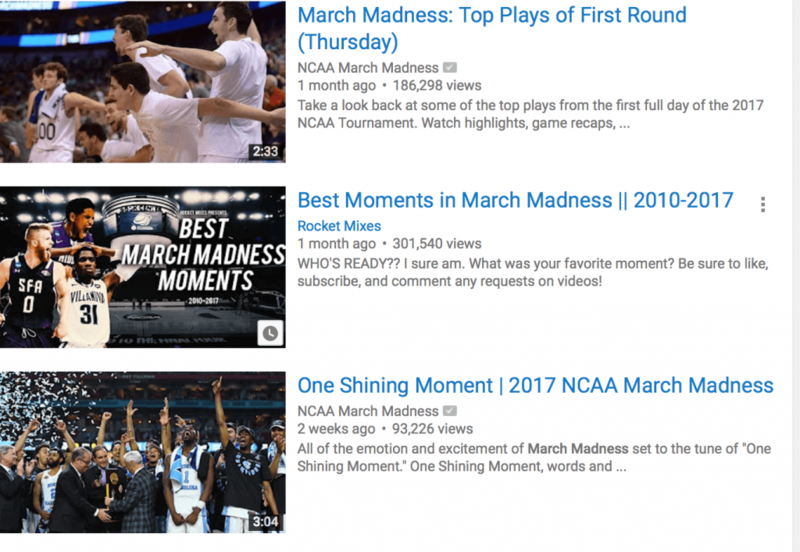 This surprises most people, but it makes sense; while the thumbnail will be small when showing up in searches, it will be expanded to a full video’s size when it shows up as a suggestion for the next watch. For this reason, you want a larger image size that can be scaled down, instead of a small size that will be scaled up. YouTube thumbnails are stronger with at least some design elements that help them look more professional. To get started, we’ve made it easy by offering pre-made YouTube thumbnail templates. Here is a video we made that shows you how to create a YouTube thumbnail within less than 2 minutes! Additionally, here are some screenshots to help you step-by-step when creating a great looking YouTube thumbnail for your channel. You first start by selecting the social media template that you need. In this case it would be the YouTube thumbnail. You can then choose from pre-made design YouTube thumbnail templates, all of which are entirely customizable, or to create a thumbnail image from scratch. Even if you choose a ready-made template, you can change everything about it, including the text, the font, borders, graphics, placement of designs, and the background image. You can also utilize the user-friendly, sliding scale visual effects which can do everything from blur the background image to brighten it. 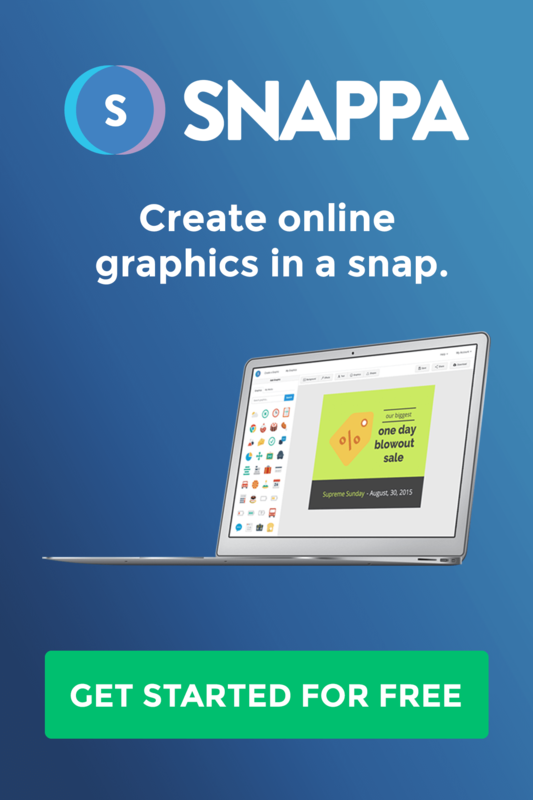 Finally, you can upload custom background images (including a still from the video) and custom graphics (including your logo or branding) to use if you choose. To keep things extra easy, you can duplicate images to create similar thumbnail images for your next video while speeding up the process. Setting a featured image is an extremely easy process that just takes a few clicks. After you’ve uploaded a video, you’ll see a series of default screenshots at the bottom of your video settings. To the right of the thumbnails, you’ll see a button that says “Custom Thumbnail.” Just click it to add the thumbnail of your choice from your computer. Once you’ve uploaded the custom image, you’ll see it appear where the custom thumbnail button was. You can click on this image if you want to swap it out with another. The thumbnail preview will also appear on the top left. You can change a video’s featured image at any time, even long after the video has been published. What Should My Thumbnail Image Be? Now that we’ve hammered out the technical details, we can tackle the creative. When you’re deciding what type of image your thumbnail should be, there are a number of options you can choose from. Which image jumps out most to you? Why? Looking at examples of great thumbnails can help you decide what you want to create for your business. 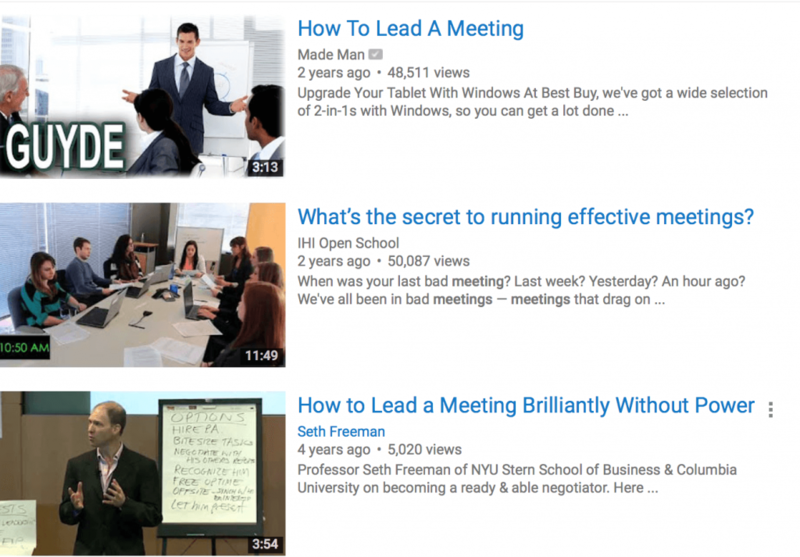 While many businesses will use one of the thumbnails YouTube automatically pulls from their video, this limits the video’s potential. Custom thumbnails will help your video to pop and stand out from the rest. It makes your videos instantly look professionally made and high quality. One popular option is to use a custom-made image that features simple graphics and the video’s title. Many of these images will also show the business’s name or logo in one of the bottom corners so that it’s discrete, but still there. Another great option is to take a still-shot of your choice from the video—especially if it’s an action shot of some sort—and to use it as a thumbnail. In these cases, some businesses will still use graphics tools to add text or their logo to the image. The last popular option is to take photographs or stills from the video (or staged for the video) and to apply them to what seem more like graphic images. This is particularly popular when it comes to thumbnail images that include pictures of people, as pictured in the example below. Regardless of what type of image you choose, you should strive for consistency in their appearance. Many businesses will add the same distinctive branding to each of their videos, even if the image itself changes. This makes it extremely easy for users to identify your videos quickly, and it helps them pick out your content in the video suggestions on the right side of the page. This can help drive clicks and views while building extremely valuable brand recognition. In addition to some of the ideas we’ve discussed above, there are a few best practices that you can apply to every single video’s thumbnail to get the best results possible. Some best practices to keep in mind include the following. Have you ever noticed that when you pause a video, the person on the video is almost always making some ridiculously embarrassing expression, even it didn’t appear that way when the video was playing? You don’t want to experience the same thing in your thumbnail images. It’s almost impossible to get a great video still that looks fantastic as an image. Trust me. If you’re planning on using an actual photograph as part of your YouTube thumbnail, do yourself an enormous favor and take an actual photograph. By pausing and taking a moment to pose for a staged photograph, you’ll get the high quality image you’re looking for. YouTuber Rosanna Pasino has high-quality images which are almost certainly taken as photographs instead of video stills. Only in very rare cases—and with extraordinarily good luck—will you get this same great quality when you pause the video and try to take a still to use as an image. The reason why makes sense; your video is just that, a video, and constantly in motion. It’s much more important to have a high quality, professional looking image than one literally lifted from the video. Using the right colors will go a long way in getting more views and clicks on your content. That includes using contrasting colors. Contrasting colors, especially when it comes to graphics and text on your images, will immediately draw the eye in. When you’re competing in a long line of other search results or suggested videos, this counts for a great deal. The contrasting pale pink and brown helps this image catch the eye. Contrasting colors also helps ensure that your text and graphics can be read. In the example below from Food & Wine, part of the branding is cut off because the colors blend together. This isn’t what you want. In addition to contrasting colors, using bright colors will also help your video get more attention, since they naturally draw our gaze. Fortunately, you can use our editing features to brighten any image with just a few clicks. You can also increase the color saturation, even just a tad, which can also help grab our attention. In the example below, the first image stands out more thanks to the coloring. Your image doesn’t have to be so bright or saturated that it looks unnatural or detracts from the quality of the image; instead, just subtle tweaking is enough to help it stand out against your competition. And that’s all that you need. If you’re using graphics or a designed image of any type, use whitespace (or negative space) to your advantage. This helps keep your thumbnail looking clean and organized. This gives it that high-quality look professional images have. All of our ready-made templates are designed to have clean organization, and many use plenty of whitespace. This helps the eye be physically drawn to what you want it to see, allowing the user to register what your video is about in a flash. This can help you catch their attention just that split second faster, edging out your competition. There’s an exercise one of my professors would make us do daily in one of my copywriting classes; they’d tell us to explain our entire day in one sentence. And then we had to cut it down to four words. 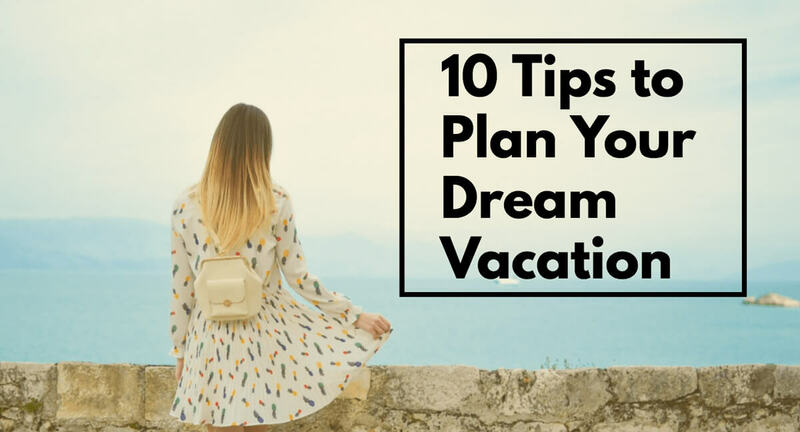 That kind of conciseness makes for great copy, and it’s essential when it comes to the text that you place on your thumbnail image. Your image is just that—an image. If users want to see the title of your video, they can look at the actual title; it’s displayed right next to the video. If they want to know what it’s about in-depth, they’ll read either the title or the description (or, you know, watch it). This means that when you place the title of your video—or any other descriptive text—in your featured images, it needs to be extremely concise. They don’t need the full description; they need a few words that will give them the gist and catch their interest. Instead of “The Top 10 Funniest Moments From Sandra on Season 30 of Survivor,” you could put “Funniest Sandra Moments” on the image. It’s short and to the point, and it gives users everything they need to be interested. We’ve talked about everything you can possibly do right to get the most out of your YouTube thumbnail images. Now let’s take a look at what you shouldn’t do. Some text is good, and will improve your video’s performance; you just don’t want too much text. If users can’t read the text in one quick, sideways glance, it’s too much. You should never have more than a concise title, and, if absolutely necessary, a concise subtitle in smaller text beneath it. You want just enough text to get your point across and no more. This happens more often than you’d think, just like some blog posts aren’t always named; businesses choose stunning stock photos that then never show up in the post. I once saw a YouTube video titled “How to Draw Flowers on Cupcakes.” The thumbnail was a beautiful, rose-adorned cupcake (yes, I watched it, don’t judge me). After sitting through the whole thing, waiting to see this stunning end result, it was clear that the image was a stock photo; the video’s final product actually looked like something I could do, which is not a good thing. Our thumbnail images are part of our marketing, and therefore aren’t immune from the need to split test. While you’re determining what types of images you want to use for your channel, split test the different thumbnails. See what gets more views on YouTube organically. Evaluate what your audience responds to most when the videos are showed on other social sites like Facebook or Pinterest. Once you see what works best, you can update all your videos’ thumbnails and use it as your go-to strategy. Plenty of businesses just use one of YouTube’s automatic thumbnails for their videos instead of a customized featured one. This costs them the opportunity to capture users’ interest with an interesting, engaging thumbnail that would otherwise get them the click. While creating your custom images for YouTube, make sure it’s sized appropriately and you’re following best practices. What do you think? Which types of thumbnails on YouTube get you to click? What works best for your business? Leave us a comment and let us know what you think! 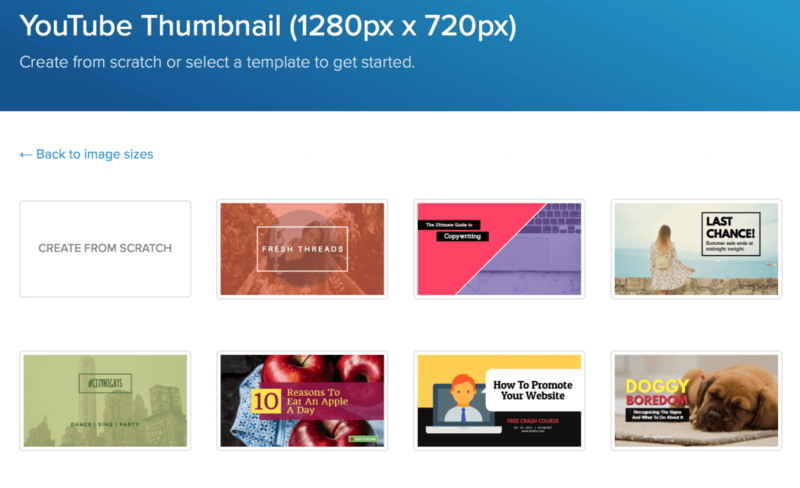 Use our marketing-ready templates to create your Youtube thumbnail in a snap. Load the perfect dimensions in one-click, and start generating more traffic to your videos with awesome thumbnails.